The Indian Railways has recently clarified a bunch of rumors regarding the Aadhaar and IRCTC Linkage. There were many rumors about Aadhaar saying that Aadhaar linking is mandatory for the online booking of the railway tickets. But the Indian Railways clarified all the rumors making a statement that “The E-Booking facility without Aadhaar is very much functional”. The IRCTC has explained on its website that, if a person crosses a limit of booking six tickets in a month then the person would be asked for the UID number. And if you link your Aadhaar with your IRCTC Account then you can book up to 12 tickets in a month. If in case you are confused and stuck as how to link your Aadhaar with the IRCTC, then the procedure is quite simple and it is done online. Visit the IRCTC e-ticketing official website. Then log in using your User ID and Password. Now go to the “Profile Tab” section located at the top right portion of the website. Go to the profile section and click on the Aadhaar KYC. After clicking on that link, you will be redirected to a new page. Here you have to enter your 12-Digit Aadhaar number and then click on “Send OTP”. You will soon receive an OTP on your registered mobile number for verification. After the OTP Verification, your IRCTC will be Aadhaar verified. Soon after the completion, you will receive a message “Your KYC details have been updated successfully”. Earlier, to make the transportation easier the Ministry of Railways have allowed M-Aadhaar to be the proof of identity card for all the passengers who are traveling in any reserved class. The M-Aadhaar app is an application which is launched by the Unique Identification Authority of India. Here the person can download his/her Aadhaar card. The app lets you carry your demographic details like the name, date of birth, gender, address and photograph that is linked with the Aadhaar number. Government of India (GoI) have mandated Aadhaar card for number of services to maintain transparency in the system. Recently government has requested everyone to link their Aadhaar cards with their bank accounts as well. This step has been taken to ensure that the deserving people can get their subsidies and benefits provided by the government directly into their bank accounts. The Reserve Bank clarifies that, in applicable cases, linkage of Aadhaar number to bank account is mandatory under the Prevention of Money -laundering (Maintenance of Records) Second Amendment Rules, 2017 published in the Official Gazette on June 1, 2017. These Rules have statutory force and, as such, banks have to implement them without awaiting further instructions. Government have also fixed a deadline for the linkage i.e. December 31st, 2017. Not adhering to this deadline, your account can be making unoperational temporarily, till the time you link your Aadhaar with your bank account. To know more about Aadhaar and Bank Account linkage click here. In this article, we have discussed ways to link your Aadhaar with India Post Savings Bank Account. Keep reading to know more about the linkage. Visit your nearest India Post Bank branch along with your Aadhaar card copy and bank passbook. Ask for the Aadhaar linking form from the branch official and fill in the form by entering correct details and submit it to the branch official. Once submitted, you will be provided with an acknowledgement form confirming your request to link Aadhaar card with India Post bank account. Visit your nearest India Post bank ATM branch and swipe your ATM / Debit card and enter your 4 digit ATM / Debit number in order to authenticate. 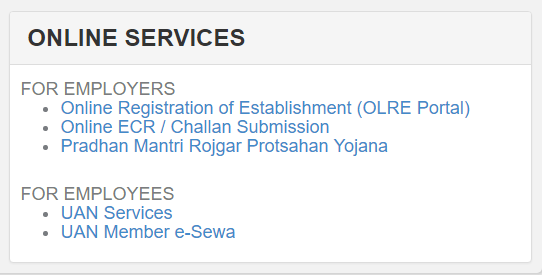 Go to the “Other Services” and select “Aadhaar Seeding“. Now you will be required to enter your 12 digit Aadhaar number. Accept terms and click on submit. And receive an acknowledgement Slip seeding request will be printed. You are require to login to your Internet banking using his / her user ID and password. On the home page, look for “Registration of Aadhaar Number in Internet Banking” and click on it. Now provide your 12 digit Aadhaar number in the respective field and select your savings account for which Aadhaar number is to be linked. To know further, click on “Inquiry“. Aadhaar card has been made mandatory for various purposes by government of India in order to have transparency into the system. For that it had made this 12 digit biometric card to be linked with your Employee Provident Fund (EPF) account and with your UAN Universal Account Number (UAN). Read here about How to link Aadhaar with your Employee Provident Fund (EPF) Account? And in order to avail all the facilities provided by the Employees Provident Fund Organization (EPFO), it is important to fulfill the linkage immediately. EPFO have made some significant changes in its working procedures by introducing UAN account in it. This step has been taken to make the process smooth for the EPF account holders. By explaining it further, an EPF account needs to be changed every time an employee changes his / her job, which is a frequent case in private sectors. And it is very inconvenient for an employee to have a new EPF account every time they change their job and to visit employers of previous organization while withdrawing their account and this process demands a lot of paper work to get his PF (Provident Fund) balance transferred or withdrawn. Keeping this in mind, EPFO changed the whole process and introduced the 12 digit (Universal Account Number) UAN, which will remain the same even you change your organization, unlike your EPF account. The EPF have issued UAN number to every active member of EPF. According to sources, nearly 7.86 crore UAN number is allotted to the members of EPF. Visit the official page of EPFO and on the home page look for “UAN Member e-sewa” on the right hand side under “FOR EMPLOYEES” section. Once you click on that option that will redirect you to a new page where you will have to login to your account by proving your UAN number, password and enter the captcha code displayed on the screen. After providing all the above mentioned details, you will be redirected to your EPF account where you can make the necessary changes or update your details. You can click on the “Manage” option and click on the “CONTACT DETAILS” from the drop down in order to make changes in your contact details. For making other changes click on the “Manage” option and from the drop down select “KYC” where you can make other required changes.